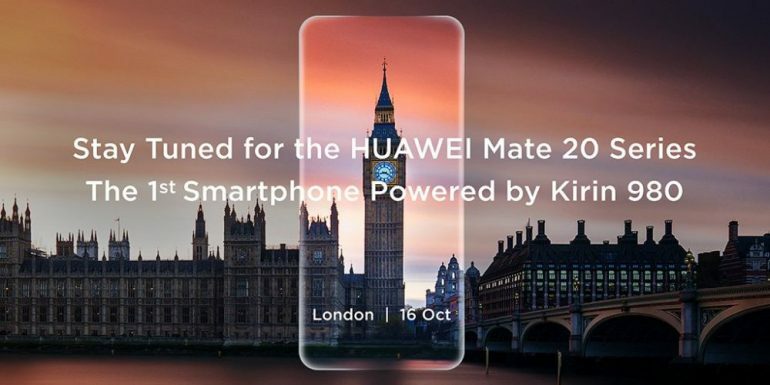 Huawei has officially announced the launch date of its upcoming Mate 20 smartphone: 16 October 2018. As the successor to last year’s Mate 10 series, the Mate 20 is expected to come with several features, both new and familiar. The announcement was made through Huawei’s official Twitter account. Beside indicating that phone’s launch date and London venue, the cutout in the middle of the teaser image supposedly hints at the phone having an all-screen, bezel-less display. As per our earlier report, the tweet also confirms that the Mate 20 will be the first Huawei smartphone to be outfitted with the parent company’s newly launched Kirin 980 SoC. The new mobile processor is based on a new 7nm die lithography, and statistically delivers up to 20% better processor performance, and approximately 40% better efficiency. Besides the processor, the phone is also expected to house a triple camera setup for its main camera. Just like Huawei’s current flagship smartphone, the P20 Pro. The hint at an all-screen display also seems to run contra to earlier reports that it would come with a water-drop notch at the top of the screen. On that note, it is also speculated that the Mate 20’s will also be the first Huawei device to utilise an in-screen fingerprint scanner. The Huawei Mate RS Porsche Edition. 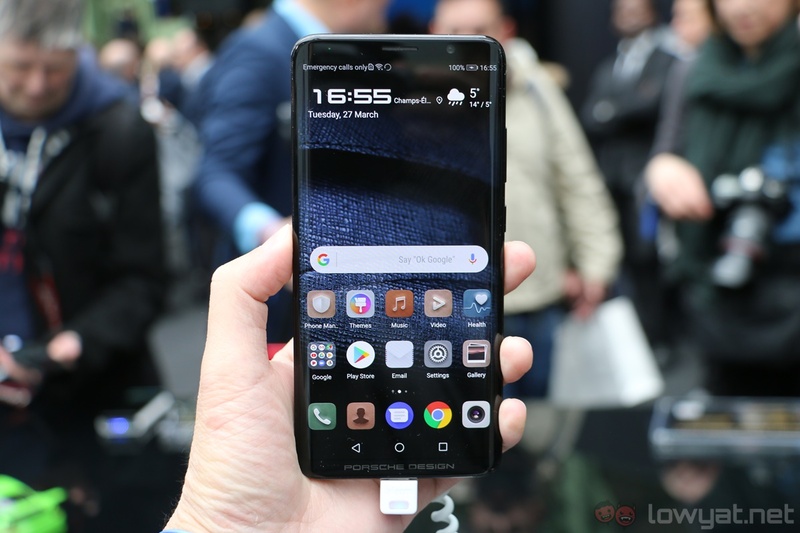 Beyond the tweet, Huawei has not released any other official statement regarding the Mate 20’s hardware. In which case, we’ll just have to wait until the official launch date to get the full rundown of the the company’s next flagship smartphone.